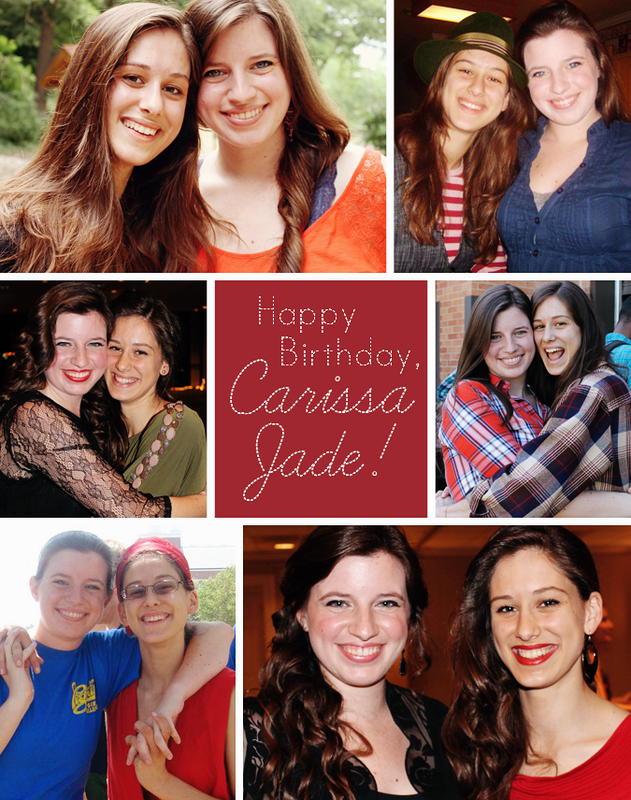 I should probably simply title this post "Ode to Carissa" because that's what it is going to be! She has appeared on the blog several times before and it makes absolutely perfect sense because she is one of my best friends. Today is her 22nd birthday! She has always made a point to follow and check out my blog(s)/tumblr, bugging me to keep posting and checking up on how things are going. She's started blogging, too and I'm a big fan of what she writes. I met Carissa on Move-In Day my freshman year at BU. She and Corey appeared at my door with a bag of gifts and goodies in hand to welcome me to campus and to the theatre departments. They were to be my Bigs and wanted to make sure their Little was getting all settled in. We connected right off the bat. This was basically our first meeting ;) She gives amazing hugs. I have been so, so blessed by knowing this lady! She has always supported and encouraged me, challenged me and carried me, and I know our friendship is going to last far beyond college. I miss having her in town but she's just a few hours up the road. Distance won't break us. Carissa Jade, you are my hero. Happy birthday, beautiful BIG!